Beautiful review. This is the first Dancong that really got to me. I was really amazed after many just so-so experiences. Glad you enjoyed it! Thanks for the compliment, and of course thanks for the tea! 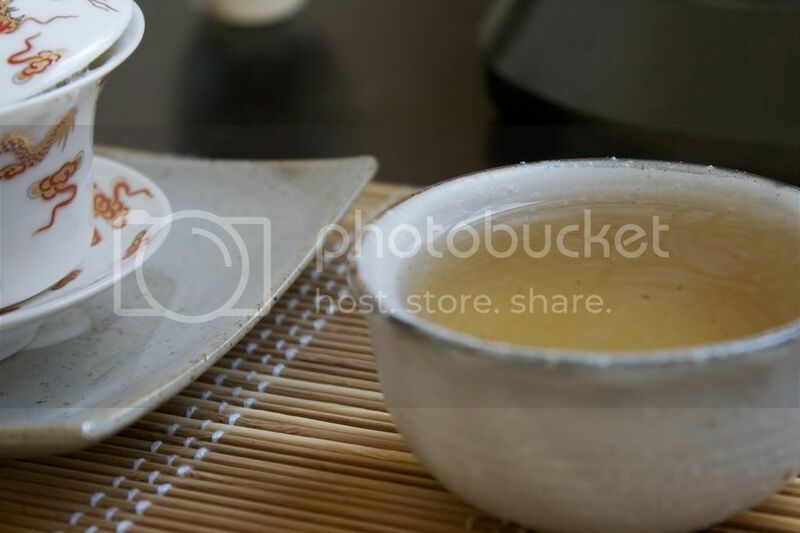 You have one of the most simple, elegant selections of ware pictured here. Surely this is the minimalism we strive for when brewing. Simply beautiful! May I ask where you obtained your ware and, specifically, that lovely cup? Thank you! That is exactly what I am going for in my tea setups. I bought that cup for a whopping $1.50 at Daiso, a 100-yen store that is popping up in a few locations in the states. The bamboo mat, plate, and bowl are from the same place, actually. The gaiwan is from Serenity Art, a store in Portland. I *think* I got my kettle from Imperial Tea Court, but there are a bunch of vendors who sell these. The glass bud vase is from Pottery Barn. Interesting, I actually happen to have a few pieces brought back from Japan by some friends that are from Daiso. They are some of my favorite beautiful things and at such a resonable price! 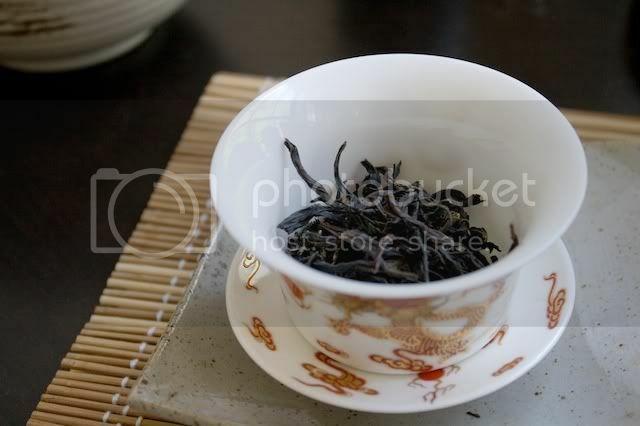 As a fellow tea blogger I have to say, nice shot! Posting nice pictures is as much as an art as reviewing the tea. great review, awesome pictures as well! I really enjoy drinking tea just as much as the art!